← Last Link of the Day: Most Obvious Movie Goof Ever! We at The Back Row feel that, despite its lackluster showing at the box office, John Carter was a fun, well written bit of swashbuckling sci-fi. And why shouldn’t it be seen as such? It was based on a series of books by Edgar Rice Burroughs – one of the best pulp writers of all time – and has influenced a century of sci-fi writers and film makers. 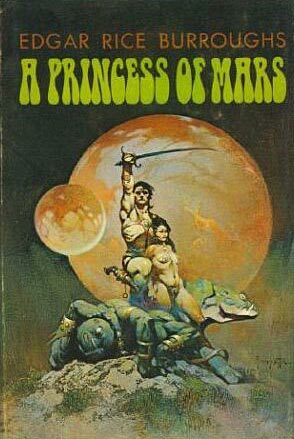 So, with the recent release of John Carter on DVD, I thought I would write about the first three John Carter of Mars books (otherwise known as the Barsoom series). 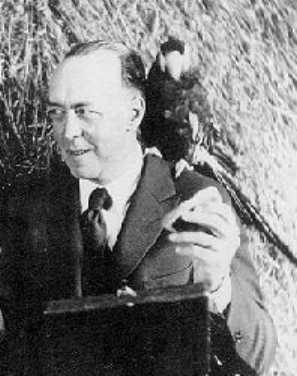 Edgar Rice Burroughs is best known for his Tarzan series, but he wrote almost 70 novels. Not bad for someone who didn t start writing until he was 35 years old. Before writing he had failed at almost everything he put his hand to. One day he was reading a pulp magazine and came to the conclusion that if people got paid for writing he could write a story at least as bad as these. So, out of desperation he wrote the first John Carter book and started a brilliant career. This entry was posted in Literature, Reviews, The Back Row's Weekly Serial Review. Bookmark the permalink.